I love the look of an organized pantry! 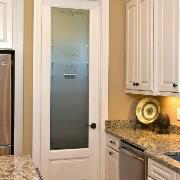 Hi, Remodelaholics, I'm back to share some low-cost home improvement ideas with your from around the web. This month I'm focusing on projects that can change the look or function of your kitchen without taking a second mortgage. 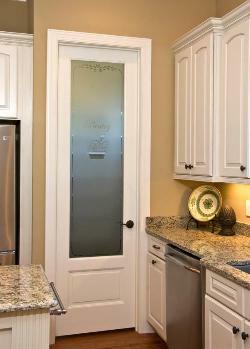 Just in case you missed it, check out last week's post on refinishing cabinets. Is your pantry a mess? Not sure wat's lurking in the way back behind the cereal boxes? We'll get it decluttered and organized together. Is your pantry hungry for a makeover? The first step is to remove all of the items inside set a staging area on a dining room table. Discard out-of-date items and donate non-perishable items that you wont realistically use to a local food bank. Then, follow these pointers to put together your perfectly organized pantry! PBJstories: Kitchen Pantry Reveal ! 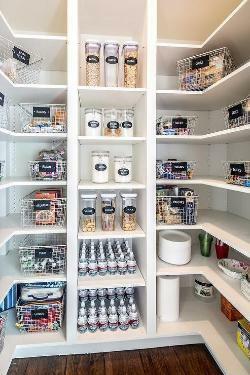 You will love these 20 incredible small pantry organization ideas and makeovers - chock full of helpful tips and beautiful inspiration so you can organize your small pantry today. 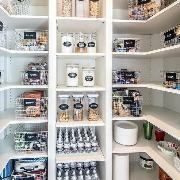 Turn your cluttered kitchen pantry into a storage dream with these great pantry organizers from the decorating experts at HGTV.com. Learn how to organize your pantry and make it feel twice as big with these ideas and tricks. 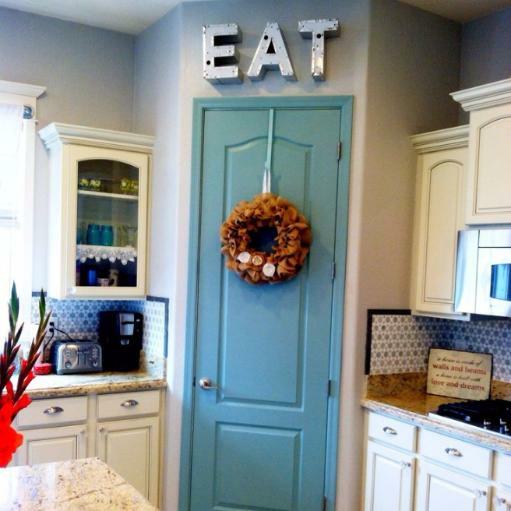 Cutting Edge Stencils shares a stenciled and organized pantry makeover featuring our Shipibo Allover pattern.